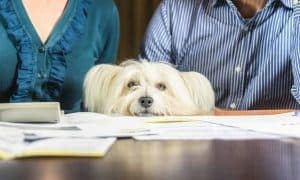 For many pet parents, warm weather is a welcomed treat. We get to spend more time outdoors with our four-legged companions, enjoying the sunshine, participating in fun outside activities. That is, until we hear that all too familiar buzz of the mosquito. 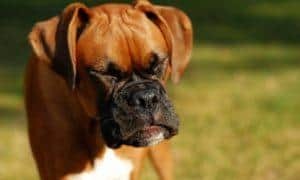 Not only are these pesky, winged biters annoying, they can lead to a slew of complications ranging from itchy bites and hot spots, to heartworm disease and West Nile Virus, and more. 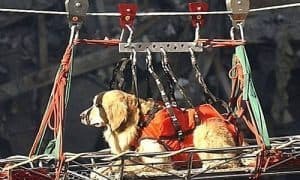 Unfortunately, many of the effective pesticides and mosquito repellents we use to protect ourselves are highly toxic, even deadly, to our furriest family members. 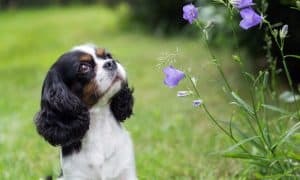 Luckily, it’s easy to safely and naturally repel mosquitoes from your yard with a little creative landscaping using these 6 dog-safe plants that naturally repel mosquitoes – and other pests, too! This hardy, easy-to-grow plant is more than just a tasty addition to your favorite recipes – it naturally deters mosquitoes, too! 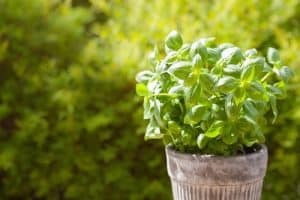 Unlike most other insect-repelling herbs, basil doesn’t have to be crushed or ground in order to release the scent and oils that keep mosquitoes at bay. 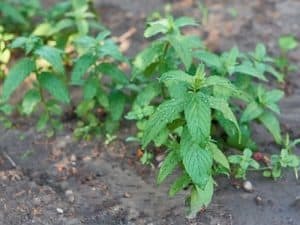 There are a wide variety of basil plants, all of which provide some relief from the flying pests, but lemon basil and cinnamon basil are the most effective. Bonus: Basil plants naturally repel house flies, too! In addition to being a beautiful, colorful, and fragrant addition to your garden, mosquitoes despise the calming, fresh scent of lavender. 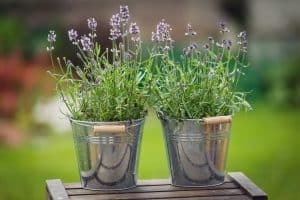 Lavender can be planted in your garden, right in the ground, or grown in pots on your deck, porch, or windowsill, both indoors and out for a splash of color, a fresh, calming fragrance, and to keep those tiny vampires away from you and your pets. 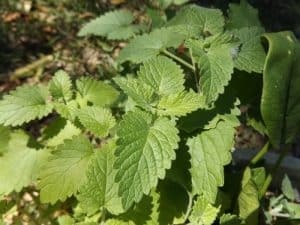 Lemon Balm, also known as horsemint, is another hardy, easy-to-grow plant that naturally repels mosquitoes. Thriving well in both sunny spots or in the shade, this plant gives off a strong scent similar to citronella that mosquitoes despise. 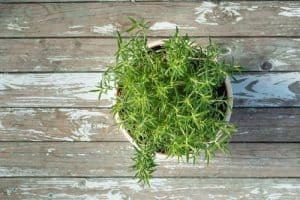 Grow it in a pot and place in the center of your patio table, beside entryways, or around the yard to keep the area clear of mosquitoes. And, best of all, while mosquitoes can’t stand Lemon balm, bees and butterflies don’t mind it at all! 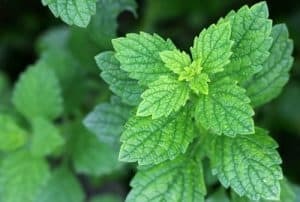 Because of its strong, minty aroma, many insects, including mosquitoes, steer clear of peppermint plants. However, because these plants tend to grow aggressively, you may prefer planting them in pots and strategically placing them around sitting areas, on windowsills, and near entryways, rather than planting in the ground. 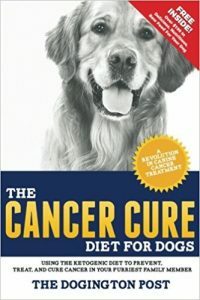 Plus, while they’re non-toxic to dogs, many enjoy the taste and smell and will nibble or roll around in them, killing the plant. Bonus: Use the leaves to add flavor to teas and other delicious minty recipes! 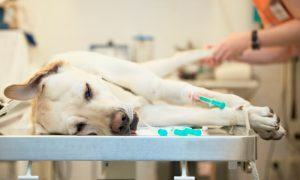 Another pet-safe option for naturally repelling fleas, that’s also useful in the kitchen, is rosemary. Unpleasant to both mosquitoes and other flying insects, rosemary is quite versatile. Plant in pots, protect your herb garden from insects, or use around the perimeter of your yard to keep insects away while at the same time attracting butterflies. 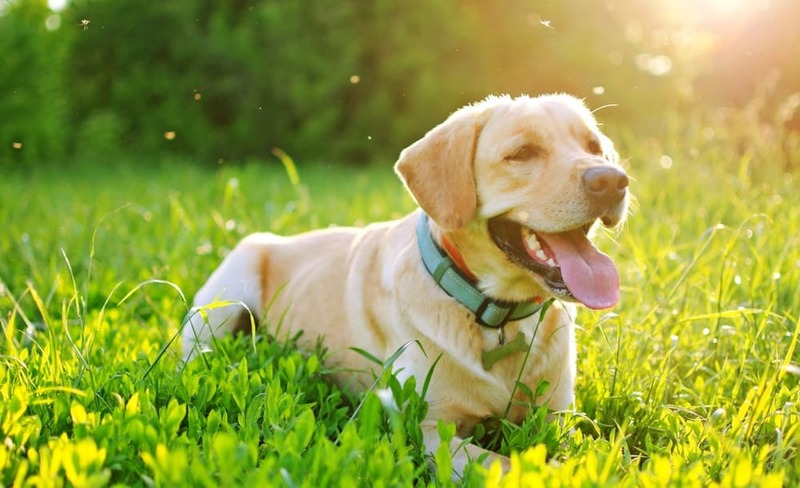 The plants listed above aren’t the only ones that naturally repel mosquitoes – but they ARE the plants that are both effective against insects AND safe for dogs. Always remember when designing your garden to be mindful of plants which may be toxic for your fur-family. 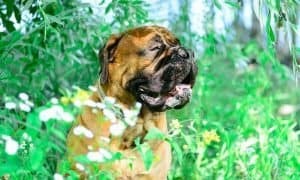 Citronella, while highly effective against mosquitoes, is deadly to dogs, as are Geraniums, certain varieties of Marigolds, and Garlic plants. 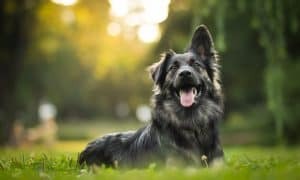 For more information about landscaping – especially with dogs in mind, check out this PAW-some article on Dogscaping! 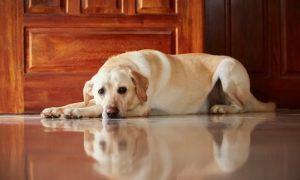 Protecting Pets From Outside Pests… Naturally!